Concord Grape Pie Filling - It looks amazing! - Canning Homemade! 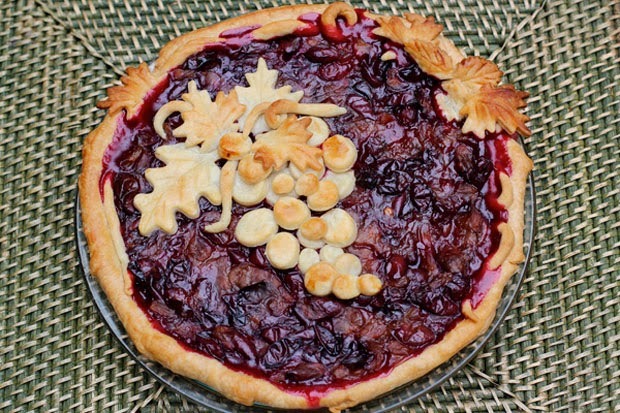 Home » clear jel » grapes » pie filling » Concord Grape Pie Filling - It looks amazing! Concord Grape Pie Filling - It looks amazing! I have had this recipe in my folder for over a year but just have not gotten around to making it or posting it. It's hard to find the Concord Grape variety here in Santa Barbara so I will have to leave it to those that have these readily available to give it a whirl. If you need Clear Jel you can order it from the Hoosier Hills Farm! Preparation: Working over two pots or bowls, take a grape in each hand and gently squeeze it over the first pot. Deposit the grape skins in the second pot. Continue until you have separated all of the grape pulps from the grape skins. You can discard the skins in your compost. Cooking: Place the pot with the grape pulps (do not add water!) over medium heat and bring to a boil, stirring frequently, allowing it to boil for 5 to 6 minutes. Set aside - Do not put them through a food mill or colander. You just separated the skins and you want to keep the pulp as in tacked as possible.Combine water or grape juice, sugar, and Clear Jel in a stainless steel pot. Stir using a whisk and cook over medium high heat until mixture thickens and begins to bubble. It will come to a smooth texture. Add lemon juice and boil sauce 1 minute more, stirring constantly. Remove from heat! Filling: Fold in the grape pulp gently till well mixed and immediately fill hot quart jars. Place a canning funnel over the opening of a clean, sterilized quart jar and ladle in the hot pie filling leaving 1 1/2 inch of headspace. Using a plastic spatula remove air bubbles and refill to proper headspace if necessary. Moisten a paper towel and wipe the rims of the jars so they are spotless. Center a hot lid on the jar and screw the ring in place until fingertip-tight. Processing: Place the jars in a water bath canning pot and ensure they are completely covered with water by 1-2 inches. 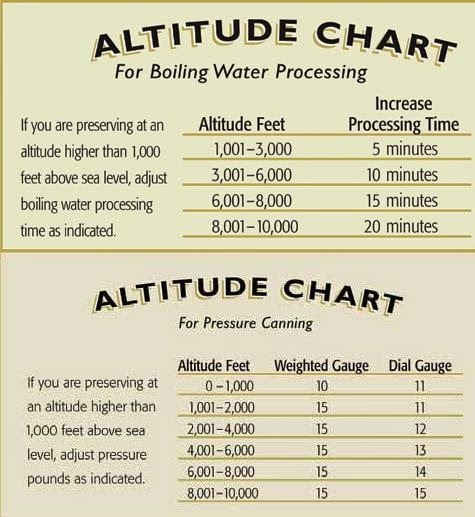 Bring the water to a boil and process for 30 minutes. When the 30 minutes are up, turn off the heat, remove the canner lid and let the jars rest for 5 minutes before carefully transferring to a cooling rack or a towel on the counter. Let cool, undisturbed, overnight before removing rings, wiping clean and labeling. Store the jars in a cool, dark place. Store jars with the rings removed. 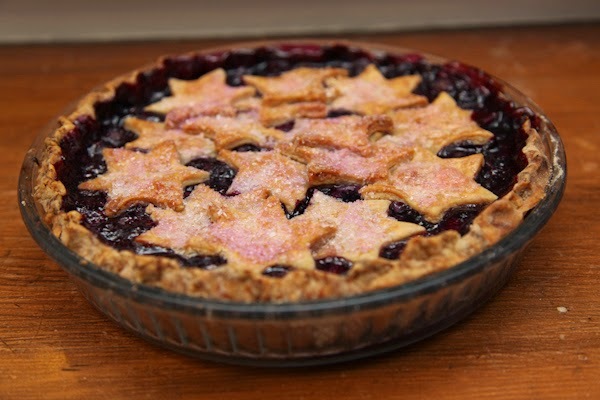 Pour a quart of the filling into an unbaked 9" pie crust and add a lattice or decorative top. Bake at 350 degrees for about 50-60 minutes. Let cool before serving. Great with a little vanilla ice cream! Make the peanut butter crust by placing the flour and salt in a large mixing bowl. Cut the butter into 1/2-inch pieces and sprinkle it over the flour. Toss the butter until each piece is coated with flour. Add the peanut butter and cut it up into 1/2-inch chunks as well. Toss to coat. Using your hands, squeeze the butter and peanut butter in the flour, until all the pieces are smashed. Then start rubbing and squeezing flour, butter and peanut butter together until the ingredients start to become sandy and clump together a bit when you grab a handful and squeeze. Sprinkle the water over the mixture and toss with a wooden spoon or spatula until a shaggy dough forms. Using your hands, start kneading the dough until all the dry ingredients are incorporated. Split the dough into two disks, flatten and wrap securely with plastic wrap. Refrigerate for an hour or overnight. Once the dough has chilled, preheat the oven to 350˚F. Roll out one disk of the dough on a generously floured surface and move it to the pie tin. Prick the bottom of the tin with a fork and line it with a piece of parchment paper. Fill the tin with pie weights, dry beans or uncooked rice. Bake in the oven for 30 minutes. Remove the pie crust from the oven, and gently lift the parchment paper filled with the pie weights off the pie crust. Brush bottom and sides of the crust with the egg wash and place back in the oven for 5 more minutes or until the crust look dry and shiny. Remove and let cool on a rack. Add your filling and cook at 350 degrees for 35 minutes until the filling is bubbling. with Concord Grape Pie filling!